The Anne Arundel County Literacy Council (AACLC) is a volunteer, non-profit 501(c)(3) organization dedicated to serving the needs of adults in Anne Arundel County who are not yet functionally literate, or who are not yet functionally literate in the English language (English Language Learners-ELL). 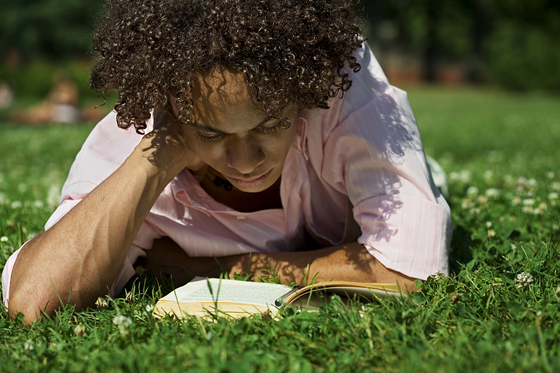 We want to reach our community’s adults who have personally decided to strive for an increased level of literacy. As long as our students don’t give up, neither will our committed volunteers. Our strategy is to remain flexible, working individually with students at their own pace. Founded in 1977 by six Laubach tutors living in Anne Arundel County, the Literacy Council provides personalized, one-on-one coaching in reading, writing and spelling to adults. Many of our students read at a 5th grade level or lower. Many past students have been successful at raising their reading levels significantly; some have gone on to further formal education (including GED classes), and some have become successful college students. Our mission is to teach adults and out-of-school youth at low-literacy and pre-GED levels the reading, math, and English language skills that will promote self-esteem, independence, and strengthen family literacy, enabling them to be active, contributing members of their community. Anne Arundel Literacy Council serves to promote a thriving, productive community that recognizes adults and out-of-school youth in need of literacy and math services, encourages them to come forward, and supports their efforts to gain essential knowledge. adults. Each year, AACLC provides thousands of hours of one-on-one tutoring at no cost to the adult students. Currently, we have over 200 student-tutor pairs working to improve literacy skills of hard-working and courageous adults who want to improve their lives and the lives of their families. Some of our students are working toward goals connected with employment, others are intent upon enriching their lives in retirement. Many of our students have children they want to help to succeed in their own educational journeys. In every case, the goals are set by the students themselves, goals that are relevant in their lives. The dedicated volunteers of the Anne Arundel County Literacy Council travel to a variety of locations to serve our students, including those in the prison population, individuals with learning challenges, residents in rehabilitation centers, people who are homeless or who are living in temporary shelter housing, and English Language Learners (ELL), also known as English as a Second Language (ESL) students. The AACLC offers one-on-one tutoring at no cost to students. We will provide an initial face-to-face reading assessment of any county resident adult (including age 16+ if no longer in school). If assessment results show that we can help the student improve their reading and writing of English, the student is then matched with a trained tutor who meets with them individually for a minimum of one hour per week, varying hours based on the needs and availability of the student. Tutoring is paced to the student’s best learning speed, and most students are provided with reading activities to perform between sessions to enhance their learning. Meeting times and locations are flexible to meet student needs. We do not discriminate on the basis of race, ethnicity, age, gender or religion. Annapolis, Crofton, North County, Severna Park and West County are also open Sundays from 1 to 5 pm.